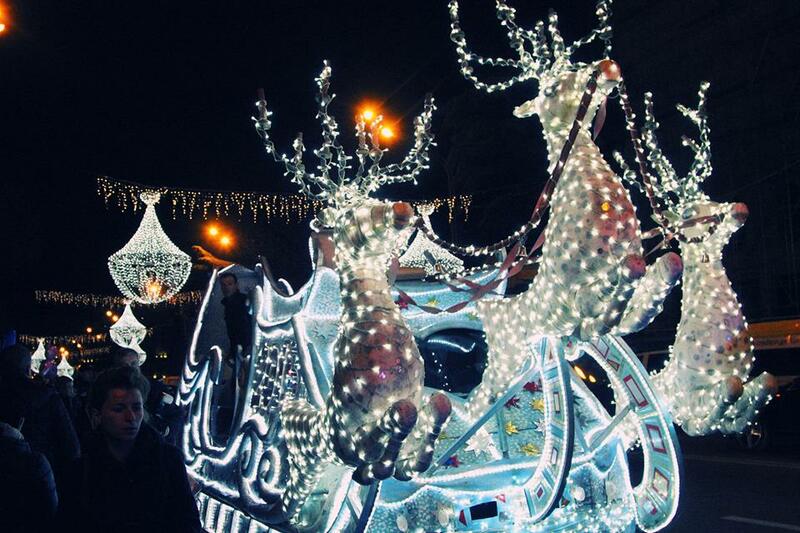 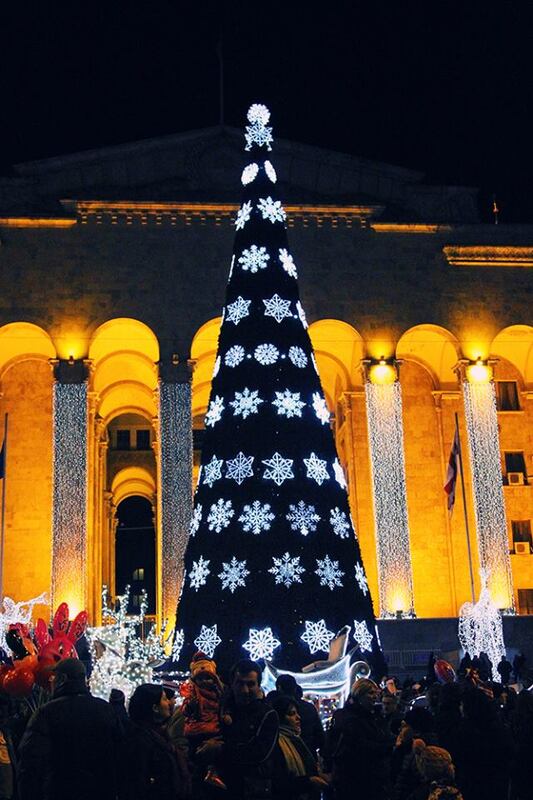 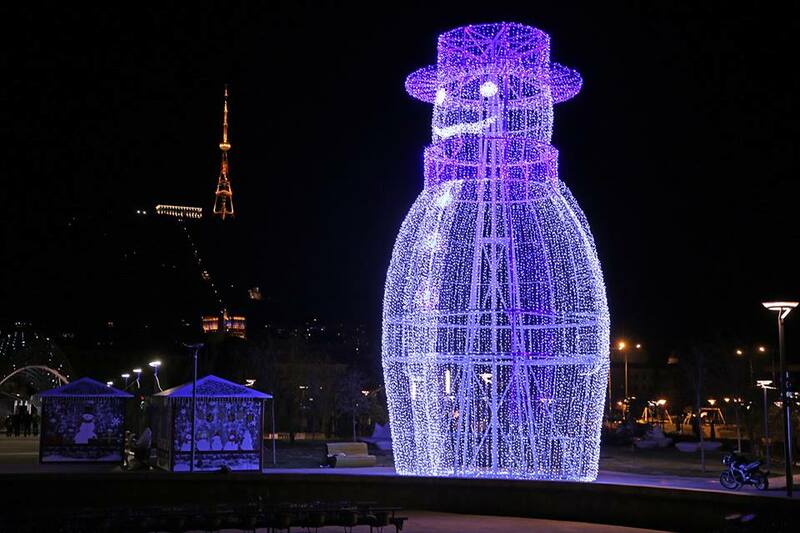 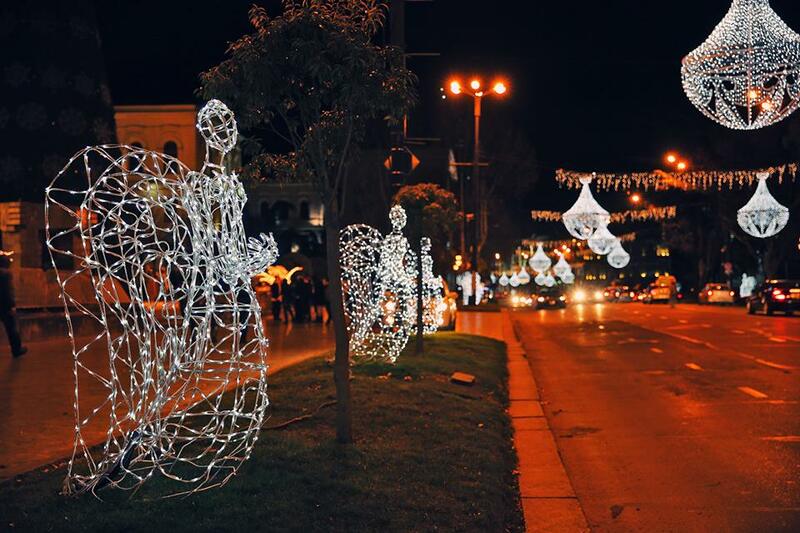 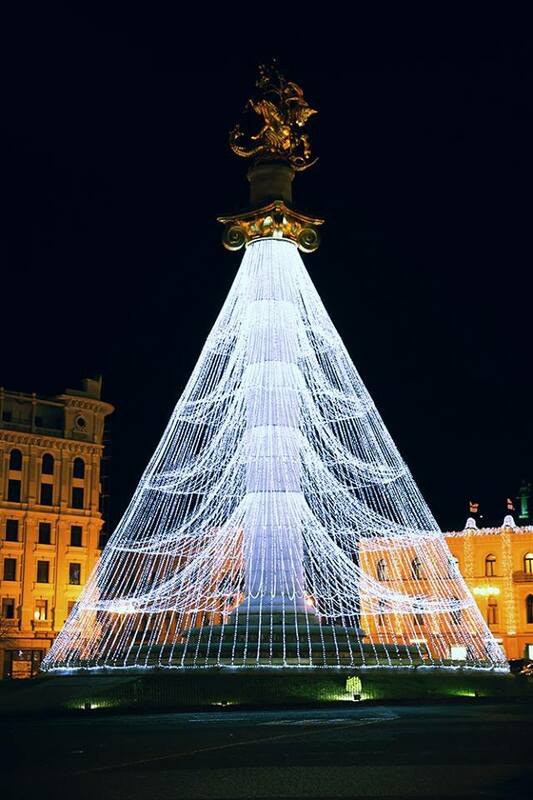 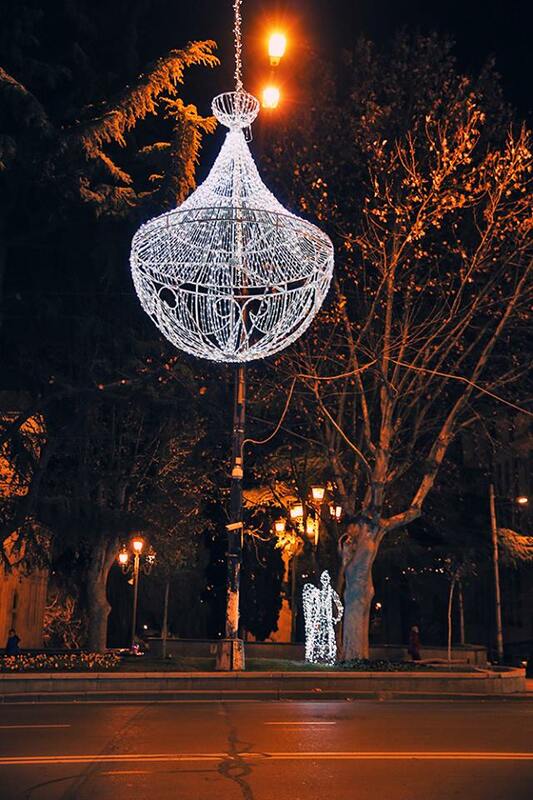 Tbilisi celebrates Christmas in style, adorning its streets and parks with beautiful illuminated decorations. 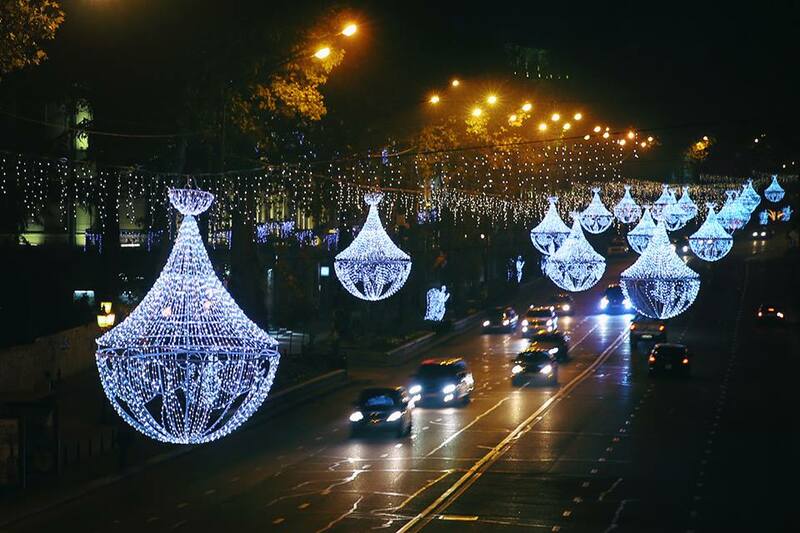 Most Georgians celebrate Christmas according to Orthodox tradition on January 7, but the street Christmas fairs and celebration events start earlier in December. 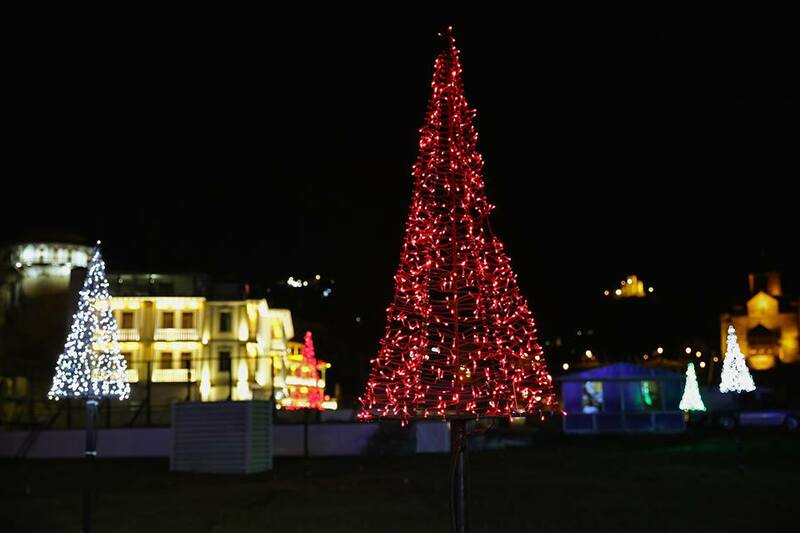 The lighting of the main New Year Tree usually takes place on December 25 at the Old Parliament building on the Rustaveli Ave. in Tbilisi. 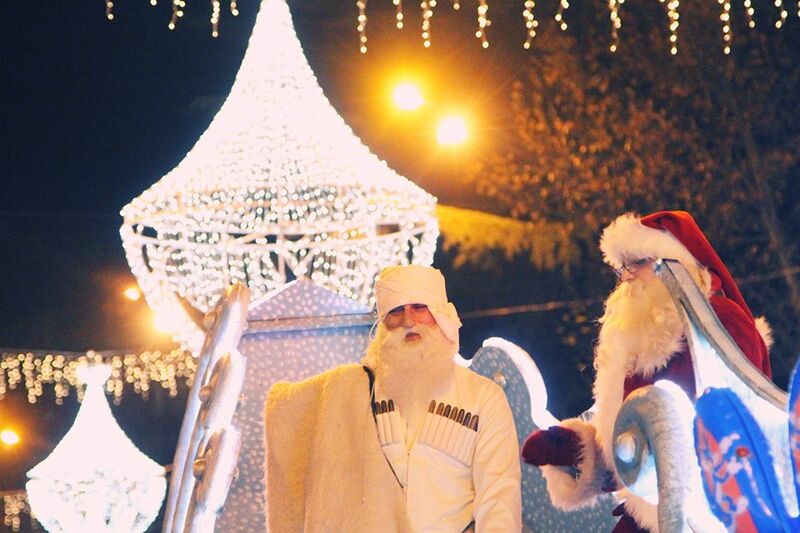 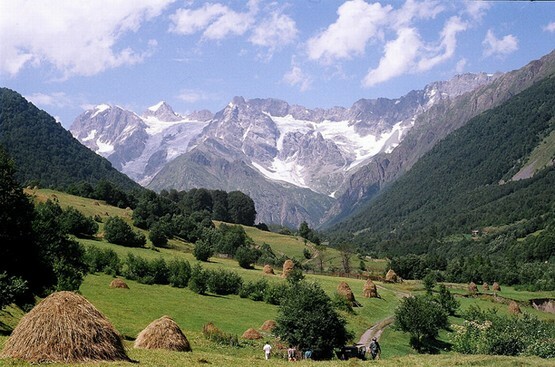 The Georgian equivalent of “Santa Claus” is known as tovlis babua, meaning “Grandfather snow”. 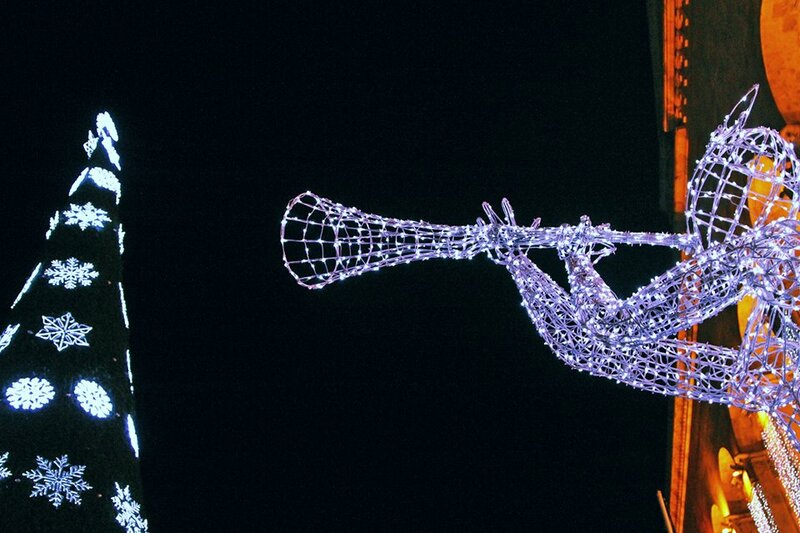 Reblogged this on whatever that's nice and whatever that's not. 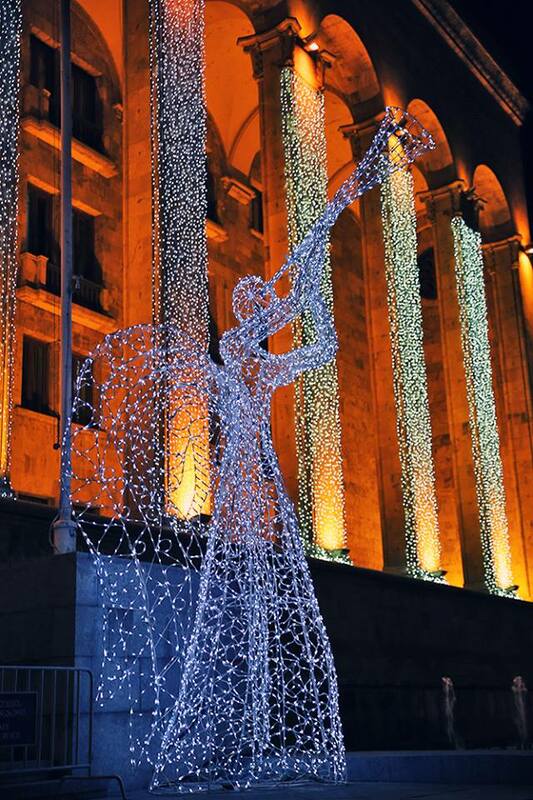 The decorations look mostly the same as the year before, but the lights on St George’s column on Tavisuplenis Moedani look great.